A couple of months ago, my team at work had an away-day at Jinney Ring craft centre in Hanbury. 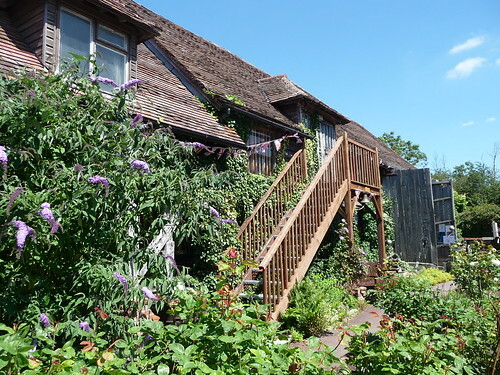 It’s a lovely little place with duck ponds in the garden and artisan workshops. 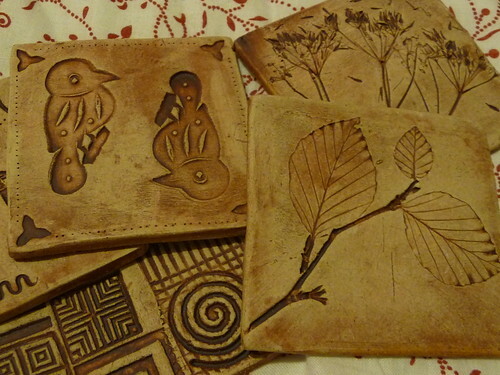 We were there for a pottery workshop. 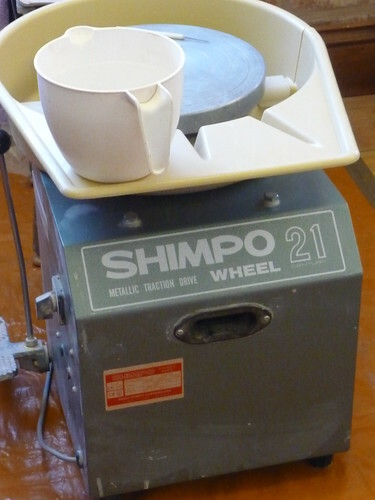 It was a mixture of hand building ceramic tiles and wheel work pots. 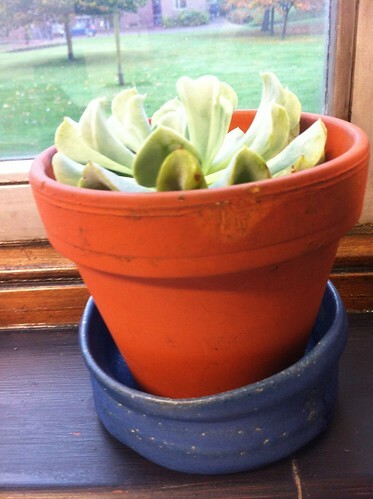 My thrown pots were a bit messy, but they did survive the kiln and make perfect cactus trays! 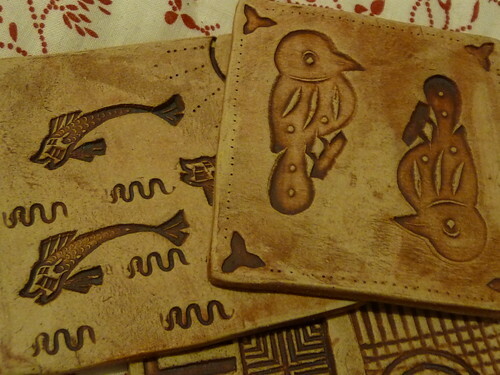 I also made a handful of tiles to be used as coasters. 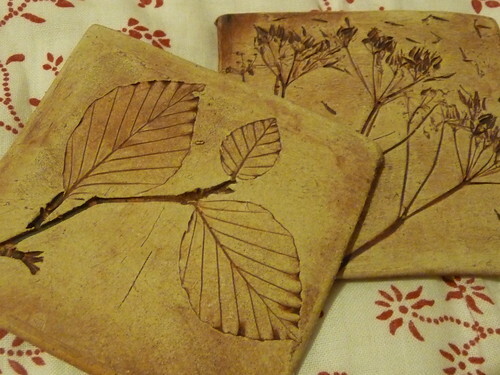 Some of these had images stamped into them, and I pressed branches and leaves into others. 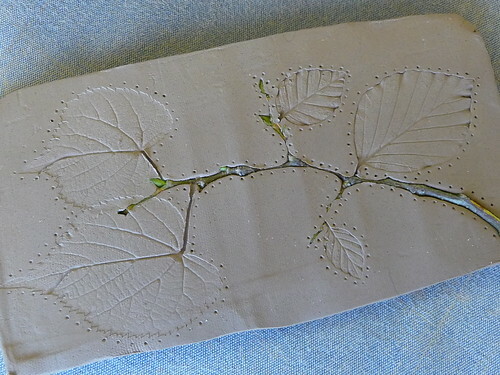 The leaves/branches burn away in the kiln resulting in a neat imprint. 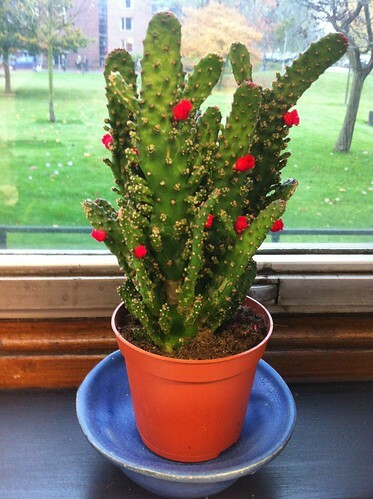 Categories: Pottery | Tags: cacti, cactus, craft, Hanbury, handmade, Jinney Ring, pot, pottery | Permalink.